Most residents of Senegal have lived near begging talibés all their lives. 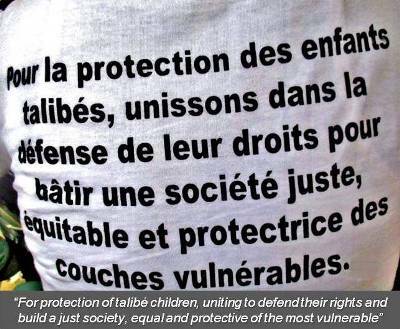 And, to many, the talibés are just part of life, not thought of as individual children with human rights, hopes or dreams. But this summer that all changed for a group of one hundred and thirty-five local university and high school volunteers in the city of Saint-Louis. 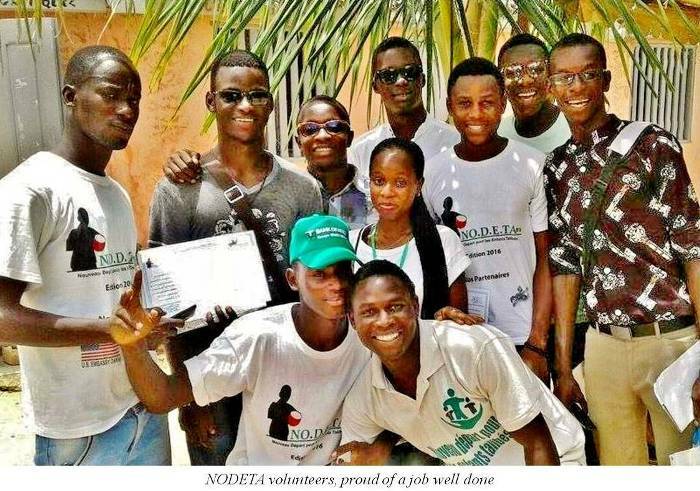 NODETA (Nouveau départ pour les enfants talibés) is a student led volunteer organization with the objective of involving all stakeholders in finding a solution for Senegal's notorious talibé issue. Rose M'Baye and Boubacar Diallo, NODETA's coordinators, are Senegalese students who have just graduated from the University of Rochester in New York. Returning to Saint-Louis after having secured a grant from the US embassy in Dakar, Rose and Boubacar partnered NODETA with Maison de la Gare to work with talibé children, parents of talibés, marabouts, the government and local community members to raise awareness about the talibé situation and to improve their conditions. 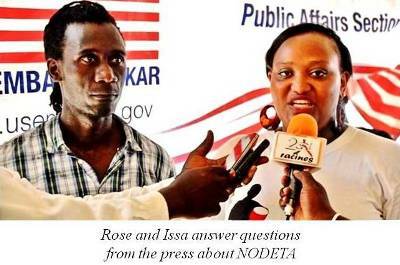 This summer NODETA's second campaign was launched, lasting six weeks. The local volunteers were divided into groups of approximately twenty-five, each having a team leader. The volunteer teams went door to door in the community, fundraising and obtaining donations of clothing, shoes, mattresses, mosquito nets and other supplies for the talibés. 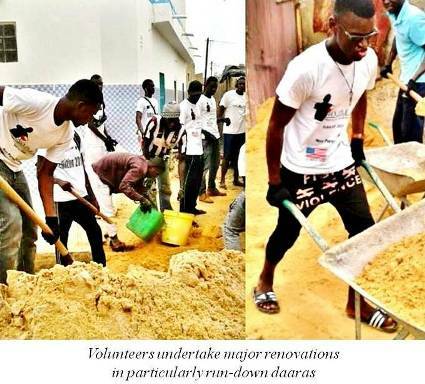 Nearly 500,000 francs were collected (about $800 US) along with over seven hundred items of clothing and materials and cleaning supplies to help improve living conditions in some daaras. The money was used to renovate four particularly run down daaras. The groups visited twenty daaras to distribute donations of supplies. 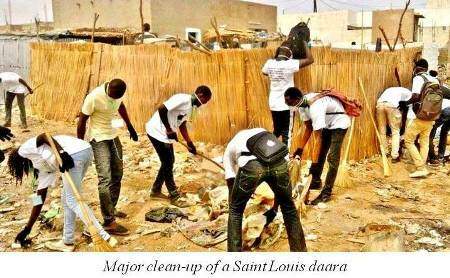 The community fundraising and many daara visits led the volunteers to many parts of Saint Louis that they had never before seen. Through working with the marabouts, the volunteers soon came to learn that many of them do not always act in the best interests of the children. Marabouts would often try to deflect attention from evidence of abusive conditions suffered by the talibés under their "care". Or, they would try to extract a personal benefit. The volunteers found they had to use diplomacy in order to facilitate discussions with marabouts. Even then, they were sometimes discouraged that some marabouts would fail to take advantage of the improvements offered for the talibés, if it gave them no personal benefit. Another plank of the NODETA program was vocational training. 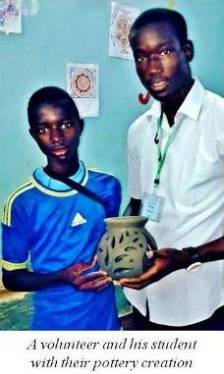 Over the course of the campaign, forty-three talibé children received training in gardening, recycling, and pottery. Rose noted that many more children could have benefited from vocational training if their marabouts had been more willing to cooperate. 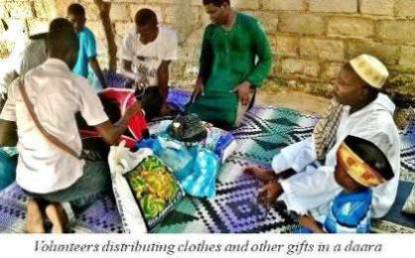 The NODETA students also surveyed one hundred and fifty people in the Saint Louis area to learn about their attitudes toward talibés, forced begging and the daaras that control these children. The survey results provided some important insights into the talibé situation in Senegal. Some people refuse to help talibés, thinking of them as bandits or thieves. Others do not consider talibés to be their responsibility as many of the children are foreigners, trafficked from other countries. It was clear that talibés are thought of as different, apart from Senegalese society. 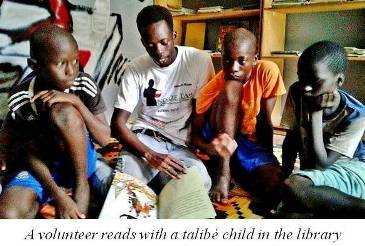 Talibés are defined by many as beggars and not as children. But, for NODETA volunteers, these attitudes have been forever altered. Having learned who the talibés are, where they come from and how they really live, the students' eyes have been opened. Talibé children are now seen by these young agents of change as who they really are, as children with all the same needs, dreams and potential of any other children. The students all feel that a sense of individual responsibility toward the talibés has been awakened in them. In the words of one team leader, El Hadj Malick Wade, "We must make the choice ... between what is right and what is easy." If this grassroots movement of young, educated people is any indication, then positive change, indeed, must certainly lie ahead for the talibé children of Senegal. We express our sincere thanks to the American embassy in Dakar for their financial support, which made NODETA 2016 possible.